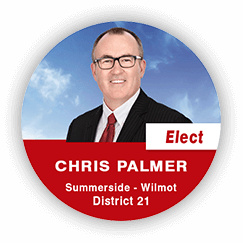 Join Chris Palmer and the District 21 Summerside – Wilmot campaign team for there Campaign Office Grand Opening on Thursday, April 4th. Refreshments will be provided. All are welcome!